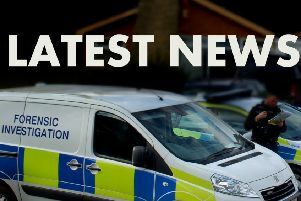 Lincolnshire Police have today (Wednesday) confirmed they are investigating incidents of fox hunting and criminal damage in a village near Horncastle. A resident from Wispington - a village between Baumber and Minting - contacted this newspaper about the ‘mayhem and damage’ caused last Thursday (February 1). In a statement, a Lincolnshire Police spokesman said: “Our officers did spot a hunt in the village but were committed with another incident at the time. “However, they have visited the man who called this in, found evidence of fox hunting and we are investigating the crime. “The reference is incident number 164 of February 1, and was reported to us at 12.30pm. “There was also criminal damage to the victim’s property – a fence and garden area.